New solar panels are a bit costly so if you are on a tight budget, you can buy some used solar panels. The price difference between the new solar panel and the used one may be considerably high. And if you have luck on your side, you can get a working solar panel for just a fraction of what a newer panel would have cost you. Now the question is how much these solar panels will cost normally. Well that depends upon whether you install these panels yourself or hire a professional to do the job for you and in that case it’s going to cost you more. It also depends upon the capacity you want to install at your residence. For example you can calculate the cost by planning capacity generation or decide how much investment you going to make i.e. $6 to $9 a watt and add the required installation charges which can be considerable. So it will be good idea to purchase your Photovoltaic (PV) panels from a wholesale store to get it at low prices. Also, keep in mind that the technology is constantly improving and the governments are also encouraging environmentally clean technologies by providing subsidy. At a wholesale shop you might get attractive offers of newly launched models of solar cells or get special discount if any particular company wants to clear its stock before launching new model. Wholesale store have a lot of verities of products manufactured by different companies that compete and have different price lists. So you can get a solar panel more situated to your budget. PV panels can also be purchased from any online store and it doesn’t require you to be very expert even when buying used panels, but it is always helpful if you know the basic guidelines. While taking any decision it should always be kept in mind that the technology involved in solar cell manufacturing is constantly improving and comparatively newer solar cells are used these days. You can find that a few older solar cells are still being used. The first thing you will notice about these older solar panels is that they are rather much larger than the newer ones when compared under same wattage category. So they are going to acquire more space and if you have got enough space, these older used solar panels can be very cost effective options to go green. So after getting these used solar panels, the first thing you should do is to remove the Photovoltaic cells from the base on which they are mounted to. After dismounting them you should inspect them for loose connector, cracked and damaged solar cells due to moisture or otherwise. These are the very common ailments of solar cells which can be easily repaired by re-soldering and tightening the loosed connections. Because of these common causes, some house owners think that the entire solar panel is faulty and just replace them. Due to high cost of traditional electricity, many people are now beginning to think to use this technology to save money as well as benefiting the economy. People are beginning to mount their residence with residential solar cells created particularly for residential use. Many stores have opened up selling brand new as well as used solar panels. 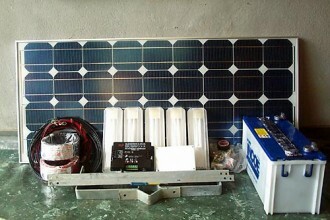 Due to tough economy or otherwise some people might prefer used or cheap PV panels. If you are thinking of ways to cut down your home solar power system cost even further, why not make your own solar panels. 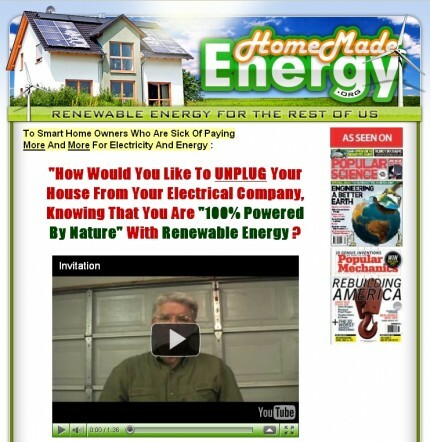 Check out Ben Ford solar guide for step by step instruction on how to get started.